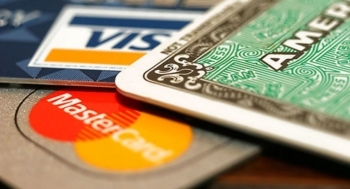 What are the best UK credit card sign up deals? It is time for our regular round up of what is coming and what is going in the world of UK airline and hotel credit card sign-up deals. Our directory of the 16 main UK travel credit and charge cards can be found by clicking the ‘Credit Cards’ tab at the top of the site or – for email, Flipboard, Apple News or mobile readers – by clicking here. Even if you don’t read the rest of this article, please note that we hope to have exclusive details of a new Avios-earning credit card on HFP later this week. Don’t get too excited, though, as only about 10% of our UK readers will be eligible. Intrigued? What was new in January? 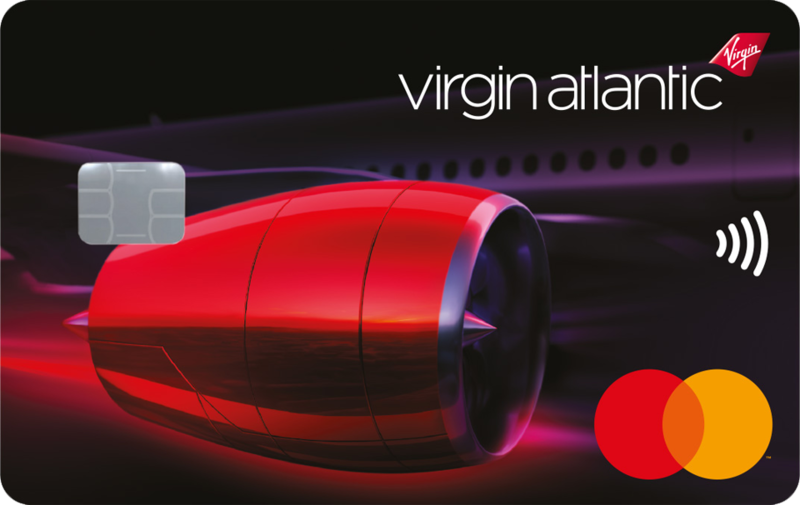 Until 28th February, you will receive enhanced sign-up bonuses on the two Virgin Atlantic credit cards. You can get up to 25,000 miles! The FREE Virgin Atlantic Reward Mastercard comes with a bonus of 10,000 miles. The earning rate is an unbeatable, for a free card, 0.75 Flying Club miles per £1. You will receive 5,000 Virgin Flying Club miles with your first purchase and a further 5,000 when you spend £1,000 within 90 days. My full review is here. You can apply here. The ‘annual fee’ Virgin Atlantic Reward+ Mastercard comes with a bonus of 25,000 miles. It is highest earning airline card on the market, giving you 1.5 Flying Club miles per £1. You will receive 15,000 Virgin Flying Club miles with your first purchase and a further 10,000 when you spend £1,500 within 90 days. My full review is here. You can apply here. This page of the Virgin Money website lets you compare both cards. This is well worth a look, even if you do nothing more than pick up the free card for a quick 10,000 Virgin Flying Club miles hit. HSBC is currently running a 10,000 point sign-up bonus for its free HSBC Premier credit card. This is worth 5,000 Avios. You could also credit it to Asia Miles, Singapore KrisFlyer or Etihad Guest. The deal runs to 2nd March. The snag is that you need to have a HSBC Premier current account to get the HSBC Premier credit card. Full details of the tough eligibility criteria are in our article here. The upside is that you have a free Mastercard earning 0.5 miles for every £1 you spend. Whilst American Express does not mention this on its application site, Marriott Bonvoy – the new name for Marriott Rewards – will now give you Silver Elite status if you take out the Starwood Preferred Guest American Express card. Silver Elite is not hugely valuable, if we’re honest, but better than nothing if you stay in Marriott properties on a regular basis. More valuable is the 30,000 Marriott points that come with the SPG Amex which converts to 10,000 airline miles, including Avios, or will get you around £150 of free hotel rooms. Marriott has confirmed that neither the SPG Amex or the (closed to new applicants) Marriott Rewards Mastercard will be rebranded in the short term, even though the new Marriott Bonvoy brand launches on 13th February. 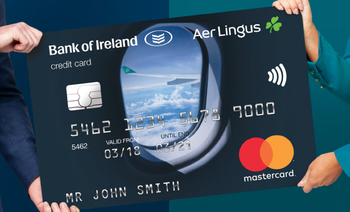 For our Irish readers, Aer Lingus is now offering a co-brand credit card in association with Bank of Ireland. The reception has been muted, to be honest. There is no sign-up bonus and the monthly fee is high. You can find out more in this HFP article. 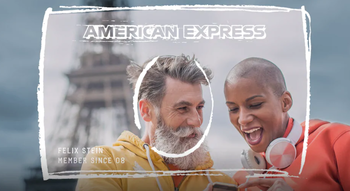 For the first time in a while, Amex is running a sign-up bonus on its Dollar and Euro Platinum charge cards – 30,000 Membership Rewards points to be precise. The good news is that you can get this bonus even if you already have a UK Platinum or Gold card. The bad news is that this is a complicated product with poorer transfer rates to most airline schemes than the UK cards. I wrote about the pros, cons and sweet spots in this article. Whilst not strictly a credit card, we did a detailed article during January on the new online bank N26. It is similar to Monzo, Starling, Revolut etc but also has a premium metal card with travel benefits. You also get hot desking benefits at WeWork locations globally. You can find out more in my N26 review here. The N26 site is here. 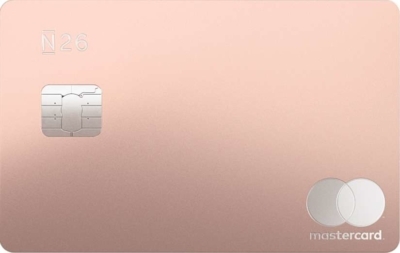 Their basic account is free but the metal card has a £14.90 monthly fee. Finally, I also ran this article on “Which American Express sign-up bonuses can I get if I already have an American Express card?“. What are the best travel credit card sign-up deals for February? If you are looking to apply for a new credit or charge card, here are my top recommendations based on the current sign-up bonus. The Virgin Atlantic cards are a special deal whilst the BA, IHG and Amex cards are consistently strong offers. These deals are listed in no particular order and their position on the list is not a sign of how good or bad the offer is. The bonus on this free card is 5,000 Avios. My full review of the BA Amex credit card is here. You can apply here. Representative APR 22.9% variable. The bonus on the annual fee BA Amex is an impressive 25,000 Avios. I wrote a full review of the British Airways Premium Plus card here. You can apply here. Representative APR 76.0% variable including the £195 annual fee based on a notional £1200 credit limit. The sign-up bonus on this card is 30,000 American Express Membership Rewards points. You need to spend £2,000 in 90 days to trigger the bonus. Your points can be transferred into various airline and hotel programmes. You could get 30,000 Avios, 30,000 Virgin miles, 60,000 Hilton Honors points, 90,000 Radisson Rewards points, 2,000 Club Eurostar points etc etc. You receive a pro-rata refund on the £450 fee when you cancel the card and you will retain most of the benefits – Marriott Bonvoy Gold, Radisson Rewards Gold, Hilton Honors Gold, Melia Rewards Gold and Shangri-La Jade – for the rest of the year even after you cancel. The Amex Platinum benefits package is extensive, though, and once you’ve got it you might find the numbers add up for you. I have had one for 15 years. My full review of the Amex Platinum card is here. Amex’s own home page is here. This is currently an outstanding deal which is showing no signs of going away. You pay no fee for the first year and earn 20,000 Membership Rewards points (see here for what 20,000 MR points can get you – 20,000 Avios points for a start!). You need to spend £2,000 in 90 days to trigger the bonus. If you are new to this hobby, I would make this your first American Express card. One benefit of earning American Express points is that you only need to transfer them to an airline or hotel scheme when you are ready to redeem – there is no risk of being caught out by devaluations! My full review of Amex Gold is here. The Amex home page to apply is here. Representative APR 57.6% variable including the annual fee (free in year 1) based on a notional £1,200 credit limit. Interest rate on purchases 22.9% APR variable. This is my preferred hotel Visa / Mastercard because of the strong overall package. Whilst there is a £99 annual fee, this is offset in Year 1 by the 20,000 bonus IHG points you receive. You get IHG Rewards Club Platinum status for as long as you hold the card. You will also receive a voucher for a free night at any IHG Rewards Club property when you spend £10,000 per year. Representative APR 41.5% variable including fee based on a notional £1200 credit limit. The two new Virgin Flying Club credit cards are the most generous Mastercard or Visa cards for day to day spending. The free Reward card (with a 10,000 miles sign-up bonus until 28th February) earns 0.75 miles per £1 whilst the annual fee Reward+ card (with a whopping 25,000 mile sign-up bonus until 28th February) earns 1.5 miles per £1. The bonus triggers with your first purchase. My review of the free Virgin Atlantic Reward credit card is here. My review of the Virgin Atlantic Reward+ credit card is here. Reward: representative APR 22.9% variable. Reward+: representative APR 63.9% variable including £160 fee based on a notional £1200 credit limit. Interest rate on purchases 22.9% variable. The application page is here. Head for Points focusses primarily on personal cards. However, if you are a sole trader or run a very small business, you may also want to check out the American Express Platinum Business Card (click here) and the American Express Gold Business Card (click here). There is currently a 20,000 points (= 20,000 Avios) bonus on the Gold Business card and a 40,000 points (40,000 Avios) bonus on the Platinum Business card. Disclaimer: Head for Points is a journalistic website. Nothing here should be construed as financial advice, and it is your own responsibility to ensure that any product is right for your circumstances. Recommendations are based primarily on the ability to earn miles and points and do not consider interest rates, service levels or any impact on your credit history. By recommending credit cards on this site, I am – technically – acting as a credit broker. Robert Burgess, trading as Head for Points, is regulated and authorised by the Financial Conduct Authority to act as a credit broker. Should I be upset with Curve. 2. Applied for a limit increase last week while undergoing the Curve Metal upgrade. 3. The limit got upgraded after few hiccups. So much for the Metal card fees! Sounds like the upgrade was already in progress before limit increase so it carried forward. Am sure support will increase it again if you drop them an email. Anybody know if we can churn Saibsbury Nectar credit cards? Only had one previously, about two years ago, so wondering if it is worth another go. Yes, six month gap as per other Amex. Combined with referral is a decent earner and can use points for fuel. Does OP not mean the Sainsbury’s one, not the Amex one? Oh possibly! Definitely worth a go when it’d been a couple of years since last having it. According to an article on LL US amex customers who received bonuses for referring credit cards have now been hit with a demand from the IRS to declare the value of the bonuses for tax purposes. Not a worry for UK residents thankfully. That’s alright isn’t it, don’t the points have a nominal value near to zero? Flipping between amex gold and SPG..could probably squeeze another card in my churn rotation but is this gonna hammer my credit rating? Nothing major. Unless you are going for a mortgage in the next few months. Churning 4 different AMEX cards every 6 months shouldn’t be too much bother. It will register, but paying off in full on time should make it fine. It’ll show up but difficult to know. I’m giving my file a rest for a while as had quite a few applications for various cards in a short space of time. I hit the £15k spend on my Amex Gold last year and have now received my 10,000 bonus points. I know the refund is pro rata but do I get to to keep the bonus points if I cancel, say in 2-3 months? If you have no other membership rewards earning cards, you’ll need to move those points out of your account within 30 days of closing the Gold card e.g. convert them to Hilton/avios etc. But you will get to keep them if you do this! Does anyone know the answer to this – If I refer someone from my Amex Gold card and they want to apply for the Amex SPG card, what is the bonus that I would receive, if anything at all? yep, I self refereed the freebie ba amex from gold charge and was pleasantly surprised to get 9k.